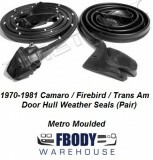 Fbodywarehouse carries a full selection of everything you need weather seal wise. 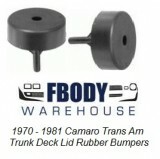 More importantly we only sell the best. 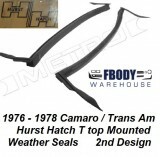 Our weather seals are the industry best. 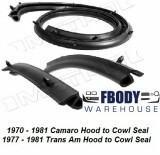 Names like soft seal, Metro, and MCI, round out our selection. These are the best of the best. 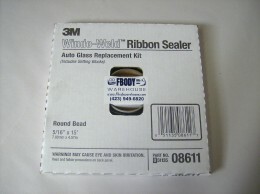 Our weather seals come individually or as complete customizable kits for your specific needs. 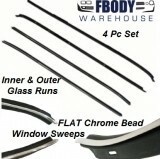 All with a no hassle 15 year replacement warranty! 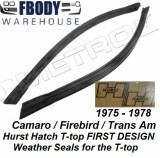 So for your 1978 1979 1980 1981 Camaro, you have arrived, the BEST prices to your door and the BEST SEALS for your car!